The Qualitons are the type of band who do everything better than most of the competition without becoming as renowned as them for some odd reason. The Hungarian 5-piece, once featured as SXSW’s Artist of the Day, continue to evolve their delicious brand of Progressive Rock and release what may be their best work yet with ‘Echoes Calling’. Such an achievement came the old-fashioned way, crafting dynamic, intelligent tracks and using the best of their musical abilities to make them shine. The result is an immensely surprising record, without sacrificing accessibility – and enjoyment – for the listener. ‘All we can do‘ answers the age-old question of what differentiates a Progressive Rock band from a regular Rock band, for those who haven’t grasped the concept. Starting from an aggressive, yet catchy guitar riff, the track’s intensity quickly and delightfully escalates, in no small part due to the magnificent drumming displayed across the album, culminating in a myriad of guitar distortion, keyboards and more of that high-octane percussion work. It’s truly something special. I’ve praised the drumming quite a bit already but ‘Conte‘ takes it one step forward, almost single-handedly carrying a joyful, smooth jazzy piece. To make it even sweeter, the cut comes complete with French-spoken lyrics. The 9-minute epic ‘Draw a line‘ starts off as an ethereal-sounding slow-burner, patiently building up the atmosphere until the four-minute mark, where the mood changes drastically to put together a fantastic medley of sorts, evoking classic Prog Rock outfits such as Yes. The track discharges into ‘Doubt‘ without a pause in the music, creating an atmospheric, dark-sounding gem brought to another level (once again) by the masterful percussion work. 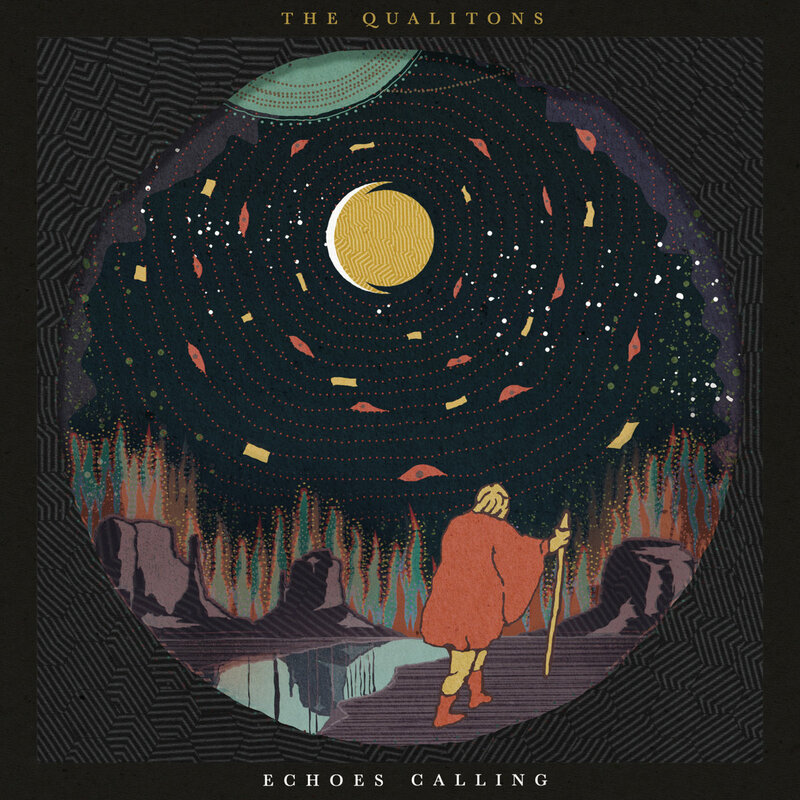 The Qualitons serve as a reminder that Progressive Rock is alive and well, building on the foundation set by acts such as Yes, King Crimson, Rush and Pink Floyd. As any good performer in the genre guarantees, this album will twist and turn at every second, showing one moment of magic after another at an effortless pace. A must-have for Rock heads. Favorite tracks: All We Can Do, Conte, Draw A Line, Doubt.